The book from my childhood that I would most like to see reprinted is The Golden Name Day, published in 1955 by Jennie Lindquist. Lindquist was a librarian and an editor of Horn Book, and she wrote this charming, quintessential little girl’s book by drawing on stories from her Swedish immigrant parents. Nine-year-old Nancy, whose mother is in hospital, spends a summer in the country with the Bensons, Swedish immigrants to New England. Each of the girls she befriends–Sigrid, Elsa, and Helga–celebrate not only a birthday but a “name day” as laid out in a calendar of names and dates in the Swedish Almanac. But as much as the little girls enjoy these special celebrations, there’s no “Nancy” in the almanac. Threaded through their season of picnics, animals, flower crowns, and May baskets is the story of how Nancy’s friends provide her with a name day of her own. Sadly, our library doesn’t own The Golden Name Day, but we do own its sequel, which is even more fitting for this time of year, as it takes Nancy and her friends through the autumn, Advent, and the “Long Swedish Christmas.” In The Little Silver House, an abandoned, boarded-up house captures the girls’ imaginations, especially when the portrait of an old-fashioned ten-year-old girl is discovered in its attic. With this mystery in the background, it’s the celebrations of occasions great and small that give the book its charm. Gift-giving is the theme of the season, and the girls’ “random acts of kindness” include planting bulbs along the roadside for “traveler’s joy” and giving up some of their most treasured possessions for a special care package. Lonely newcomer Ben and others are brought into the circle of the Bensons’ warm hospitality and good food. Oh, how I wanted to be Swedish! My generic American family seemed so dull by comparison—no special traditions and not a chance that my mother was going to let me put lighted candles in a wreath on my head for St. Lucia’s day. The holidays continue with hand-wrapped karameller given to visitors, the Long Christmas Dance, Dipping Day, and “Second Christmas,” which made me wonder whether the Swedes are related at all to the hobbits. Finding a book like this on the library shelves is as close as we come to time travel. Nancy’s yellow rose wallpaper! The horses, Whoa-Emma and Karl the Twelfth! For a nanosecond, I was nine years old again. 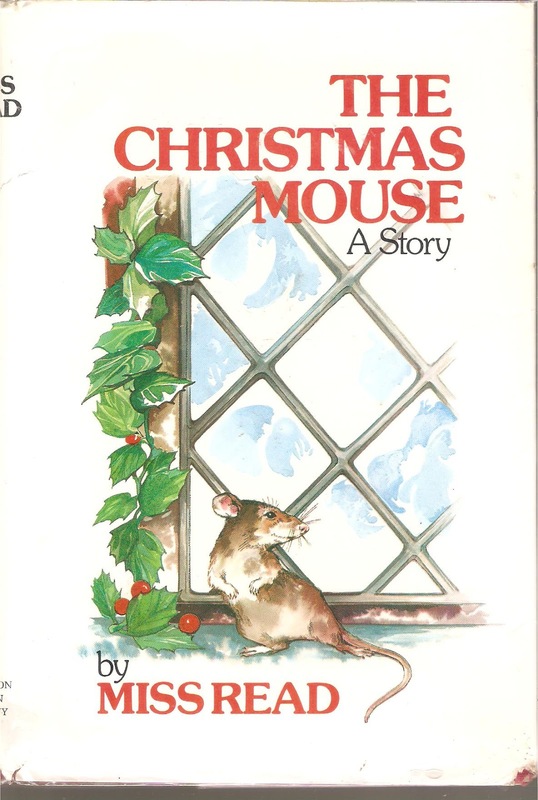 Illustrated with the feathery pencil drawings of Garth Williams, so familiar from his work on the Little House series, these warm-hearted books will appeal to the same girls who enjoyed the Christmases of Laura and Mary Ingalls, whether those girls are nine years old or, ahem, somewhat older. Check the WRL catalog for The Little Silver House. I’ll be the first to admit I love a feel good Christmas story any time of year. 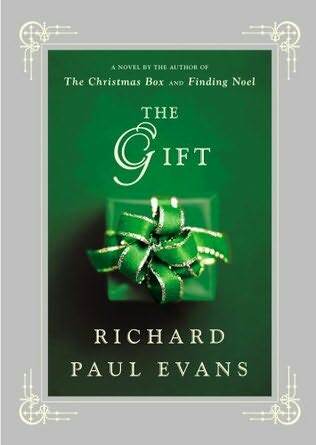 Richard Paul Evans’ book The Gift does not disappoint. Make no mistake, the characters of the book face everything from personal tragedy and physical pain, to public scorn and hatred. Thus begins the journal and the story of Nathan Hurst, a man who has grown to hate Christmas and yet finds healing from the most unexpected places. Enter fate…a holiday weekend, a snowstorm, a cancelled flight, and Collin and his mother and sister stuck in the same airport overnight. As the days pass from Thanksgiving to Christmas the story tells of the special healing powers of young Collin, the curse that comes with each healing, and the greed and overwhelming desperation of mankind when it comes to their own mortality. The innocence of one healing creates an onslaught of public outcry for help regardless of the consequences. Nathan becomes a guardian for his new friends and in the process he receives both physical and emotional healing. I highly recommend this in audio book form as well. The narrator makes it possible to envision the innocents of the young miracle worker and the desperation of those seeking his touch. Also recommended is Evans’ Finding Noel which tells the story of Macy, adopted as a young child, and her search for her biological sister. A healing of sorts results as well for all those involved. I’ve happily plowed through the first fifteen titles in M.C. 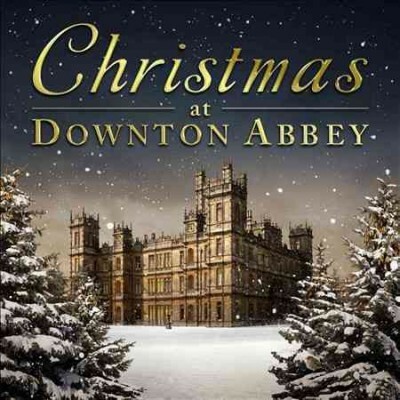 Beaton’s Hamish MacBeth series, and this Christmas special is the 16th. So far I’ve listened to all of them in audio format with the excellent Davina Porter narrating. 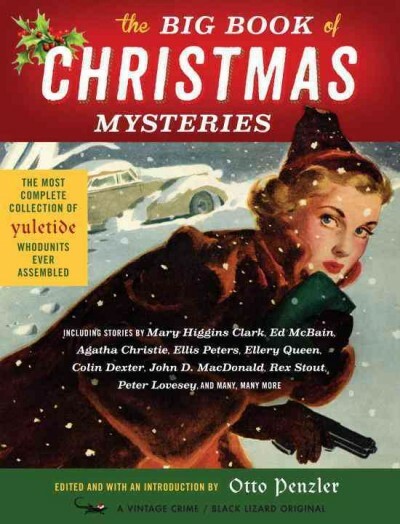 A Highland Christmas does not appear to be available in audio format, however, so I took the opportunity to download it from WRL’s new OverDrive ebook collection. After 15 episodes I have become quite fond of Police Constable Hamish MacBeth, the Scottish village of Lochdubh’s only representative of law and order. Although unambitious and often quite lazy, Hamish has the Highlander’s insatiable curiosity and loathes unanswered questions. Therefore he always becomes more involved in local crimes than his superior – the boorish and unimaginative Chief Inspector Blair of Strathbane – would like. What’s more, Hamish always solves the crime, stealing the ambitious Blair’s undeserved thunder and making him look bad. He is sharply attuned to underlying emotions and motives in people, a talent he often uses to get at the truth Miss Marple style. The Northern Scotland locale is a character in itself, with its ever-changing landscape, howling winds, and fickle climate. Regular characters emerge, eccentric, exasperating, and lovable. It’s great fun to watch Hamish interact with them all. In this installment in the series, Christmas is approaching and the village of Lochdubh, most of whose old-fashioned residents frown upon Christmas as a “heathen” holiday, is most decidedly not in a festive mood. This has P.C. MacBeth somewhat down in the mouth, and it doesn’t help that he is called out to the neighboring village of Cnothan to see about a crotchety old lady’s lost cat and the town’s missing Christmas tree. The Hamish MacBeth series are cozy mysteries, but A Highland Christmas is the coziest of the bunch in that there is less murder and more “warm and fuzzy.” It’s a pleasant interlude for readers already invested in the series. For readers who have not read any of the books in the series, it’s a nice introduction to Hamish MacBeth’s world or a feel-good standalone Christmas story. Check the WRL catalog for the book, or check out the ebook, which you can download to a computer, e-reader, or mobile device. A large print book is also available. It’s Christmastime in New York City, and both Dash and Lily are spending the holiday without their families. Being a bit of a Scrooge, Dash is on his own by choice, as he tricked each of his divorced parents into believing he is spending Christmas with the other parent. Lily, however, loves everything about Christmas. She was left at home with her older brother (who is at first too busy to be festive, and then too sick) while her parents and grandfather vacation in warmer climates. Needing something to occupy her time, Lily leaves a red Moleskin notebook in the Salinger section of the Strand, a used bookstore. The notebook contains instructions for the finder to follow, if he is a teenage boy, with clues leading around the store and perhaps into Lily’s heart. Dash finds the notebook and, after following Lily’s clues, decides to continue the game. Rather than leaving his phone number for Lily to find, he leaves instructions to travel to a nearby pizzeria. The game continues past Christmas and into New Year’s as Lily and Dash send each other to a variety of well-known New York locations. They use the notebook not only to leave each other clues, but to get to know one another. They write about how they are spending the holidays, what they want for Christmas (“No, really, don’t be a smart aleck. What do you really really really supercalifragiwant?”), and their best and worst Christmas memories. They do hit some roadblocks along the way, such as when Lily misses her opportunity to pass the book on to Dash and when they unexpectedly meet under less than ideal circumstances. But surely everything must come out alright in the end, right? After all, it is Christmas. Check the WRL catalog for Dash & Lily’s Book of Dares.